If you had to catalog every doll, wedding or antique show taking place each Saturday in a major American city, you'd probably give up on weekend two due to the sheer number of events. So for someone who actually runs these types of shows, imagine how difficult it must be to stand out amongst a sea of Malibu Barbies and Vera Wang mermaid gowns. Unlike many email marketers who exist in similar circles, the folks who run the Dallas Gift Show actually understand that sometimes you need more than a nice description and a photo of inventory to get people to hit the convention floor. They're selling the experience, which is why they've won our Most Enticing Invite award. 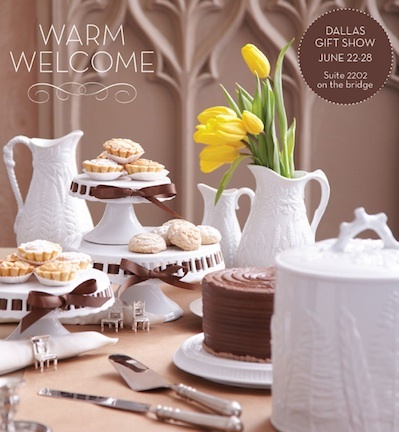 The Dallas Gift Show email is made up of two parts: a large photo and descriptive copy below it that tells people what they can expect beyond the show floor. The photo itself works extremely well because it not only features elegant china and silver, but enticing chocolate cake and cookies in a setting fit for a royal. Beneath this stunning image is a brief rundown of what the show sponsors are adding to the mix: tote bags, bottled spring water, tasty desserts and...hospitality. What you don't see is standard copy touting an overflow of booths, crowds or merchandise. The Dallas Gift Show crew is selling its attendees a pleasant and civilized time at their event, and this is more than enough to get guests through the doors. Check out the award-winner’s email campaign in the Benchmark Community.